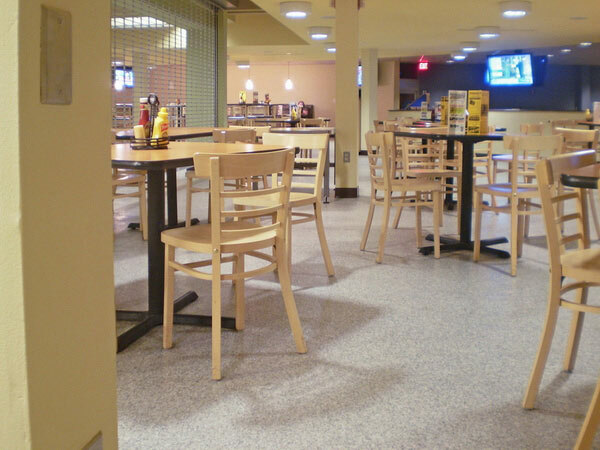 School and university flooring needs to be tough to keep pace with the hundreds or even thousands of students and faculty each and every day. 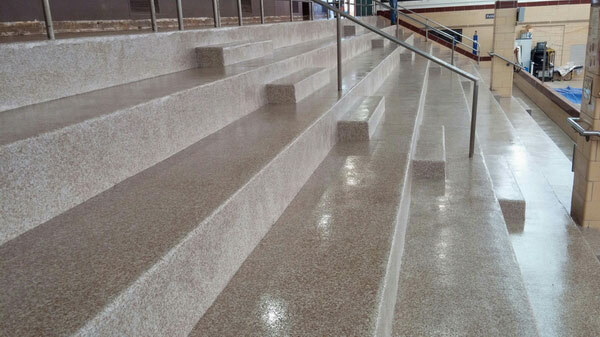 With its durable finish, natural texture and adding benefits for better health and sanitation, Everlast® Epoxy is the optimal choice for schools who are committed to keeping their community safe and protected. Everlast® Floor is made with an EPA-registered antimicrobial additive to restrict the growth of microorganisms. This antimicrobial additive is integral to our epoxy system. It provides long term protection from a broad spectrum of bacteria, fungi, yeast, actinomycetes, and mildew, and curbs odors caused by these unwanted growths. Everlast® Floor is also anti-slip so your students and faculty are less likely to have accidents. Other epoxy flooring is hard and brittle, but ours is strong, tough, and flexible. Why? Because we’re short on cheap fillers and long on aggregate and high quality resins. This ensures a superior surface that’s 160 mils thick. Your Everlast® Floor will not peel open or crack like quartz broadcast floors or epoxy floor paints. The strong, but flexible flooring will hold up to heavy foot traffic with no problem, and it won’t show wear patterns like other flooring does. Keeping your students safe and healthy doesn’t have to cost a fortune. Our floors are quick and easy to install in a one-step application. So, again, you’re going to save yourself masses of time and money compared with other options. 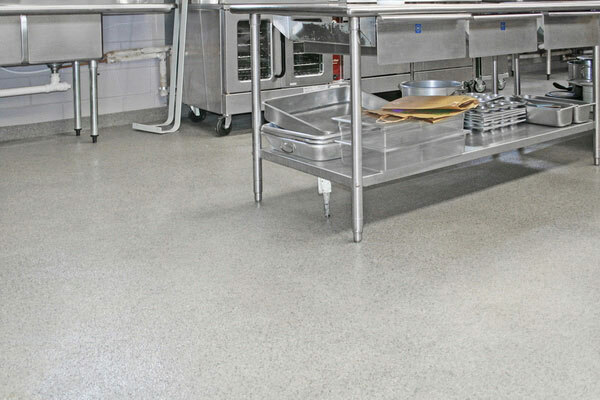 Unlike most other school flooring on the market, Everlast® Floor can be installed straight over many types of existing flooring including new concrete, wood, VCT - and even tiling! Also unlike the others, it’s waterproof and moisture resistant by nature. So it can be used as an all-in-one membrane shower floors and wall coating. 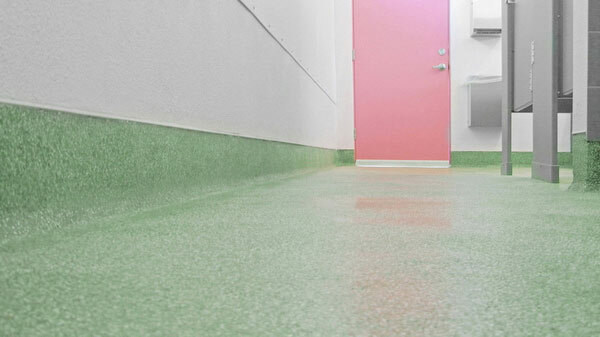 … by simply troweling Everlast® Floor directly onto the existing tiled floor and walls in one seamless coating. 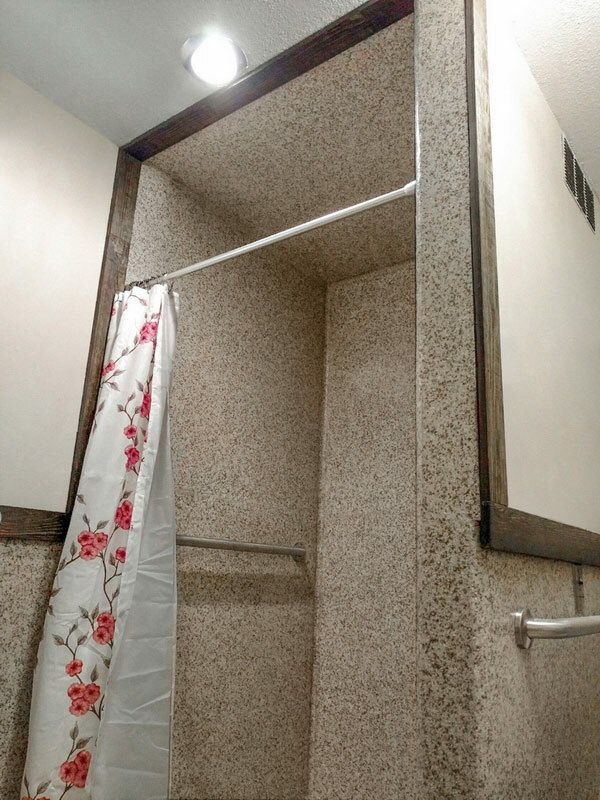 So there’s no need to go to the expense or the extra work of tearing out the existing tiling. Installing Everlast® Floor means you can avoid familiar problems like a student taking a bath or shower at 3am, causing water to overflow and drip down through the ceilings to the rooms below. You can also stop worrying about damage and constant repairs. Our hardwearing floors are more than a match for the rough and tumble of energetic schoolchildren and college students. Many of our customers come to us saying they’re fed up with the constant ‘firefighting’ needed to maintain their existing school flooring. Maybe tiles keep chipping up and they need constantly regrouting. Or maybe you’ve got an inferior epoxy floor from another provider, which is prematurely wearing out and constantly needs patching. Once you start using durable Everlast® Floor this stress instantly disappears. Now it’s easy to create a smart, good-looking environment for your faculty and students. You can create a bespoke finish with a choice of many different colors. And you can even incorporate your logo or any other design. There are many more benefits to choosing Everlast® Floor for your school flooring. 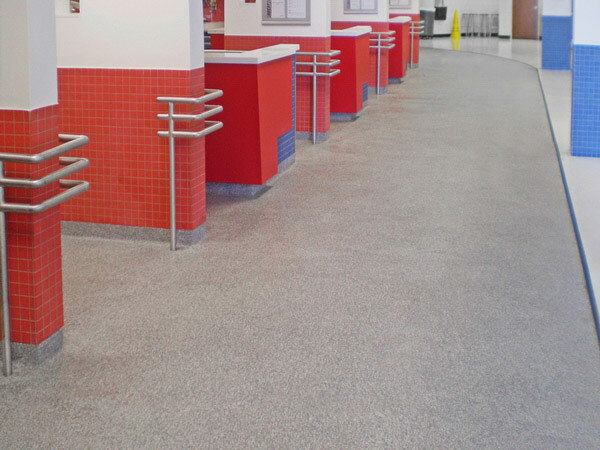 We’re confident Everlast® Floor is the best possible flooring for schools and universities. We believe it’s superior in many ways to all other types of floor. But why Everlast® Floor and not other epoxy flooring? Many reasons. For example, Everlast® Floor is super durable, adheres more strongly - and to more surfaces - and is likely to last longer. That’s because we teamed up with scientists to devise a floor formula that uses some of the strongest resins available. One of the ingredients is also used in F-16 fighter jets! We’ve made it easy for you to find out more. All you need to do is read on to the bottom of the page to find out how to	get in touch. We’ve helped dozens of schools and universities to improve the school & university environment for tens of thousands of children & students. They all now have great-looking, heavy-duty school flooring that should stay in good-as-new condition for a lifetime. And remember, it’s as safe and healthy as school flooring can be. For your peace of mind, we’re also offering you a conditional 20-year limited warranty. Ready to hit the books on your flooring? Get in touch to learn more, get a no-obligation quote and schedule your custom installation.